of those seeking timelessly designed, heirloom jewelry. Each piece capturing a story. Commemorate your life celebration with something that will last generations. Engagement Rings and Wedding Bands designed to commemorate the most important time of your life. Designs for both men and women. 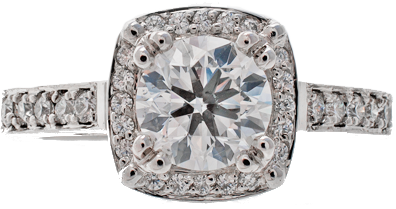 We can design a custom ring that is perfect for you. diamond pendants can be customized in your choice of metals. We pride ourselves on designing rings that make a statement and express your style. Jennifer Briggs was drawn to jewelry as soon as she was old enough to string beads~ and know enough not to eat them. When she was six, her father brought home her first set of jeweler’s hand tools and her passion was born. Jen’s mission is to create beautiful, versatile, fine jewelry that can be shared and enjoyed for many years to come.